The best thing about using a windows computer is that there are thousands of free software for it. Surely you can’t get enough of free software and that is why I made an ultimate list of free windows software that you will ever need. 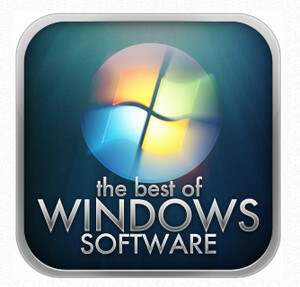 They are categorized nicely so that you can quickly find the one software you need most. Very lightweight but solid on protection. Trusted antivirus that I used personally before switching to Avast free version. Very lightweight but solid on protection. Runs on the background smoothly. Spybot Search and Destroy offers a free version that targets spywares only. Finds and removes infections. Fights against hidden threats. Best application to recover lost partitions, makes non-booting disk bootable again. Recovers deleted files memory card, secondary hard drive, or other external drive. Fast, automatic and very easy to use to defrag your hard drive. Lightweight portable app if you don’t want to install an uninstaller. Optimizes, cleans, and fixes a variety of PC problems with just 1 click. With so many add-ons firefox is the most customization browser out there. A browser for Apple fan-boys. Another good option for those who want a good indie email client. Very popular, has been in the market for long time. People call it free Photoshop alternative. I hope the list will be useful to you. If you have any program that you recommend, then let me know by commenting below. Happy Free Downloading! perfect for backups or synchronizing servers.